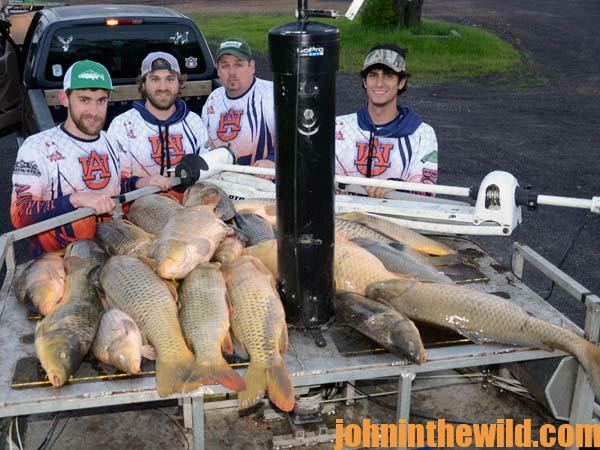 John’s Note: Jon Justice from Rockmart, Georgia, has been bowfishing for 12 years. Chuck Belmore, one of the hosts of “The Habit” (http://thehabit.tv/news/content/1-tv-show/) TV show, got him started in bowfishing. Today both Chuck and Jon host “The Habit” TV show. 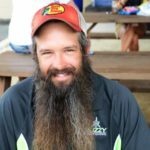 Jon Justice: Every youngster who’s ever gone hunting with his dad when he’s killed a bear, a big deer, a moose or a big bull elk tells all of his buddies, “This past weekend me and Dad killed a bear (or took one of the animals mentioned).” That youngster is absolutely correct. Although the youngster didn’t carry a gun, didn’t pull the trigger shoot the bear, didn’t skin the bear or carry out the meat, he was a part of the hunt, and he shared in the hunt. That’s what team bowfishing is all about, because regardless of what role you play as a member of a bowfishing team, no matter how big the fish are that are taken or how many fish are taken, if you’re a member of the team, you can legitimately say, “We took em!” Bowfishing is much-more productive when a group of friends bowfish together. 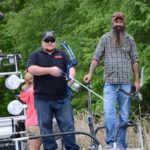 John E. Phillips: When you and Chuck Belmore go to film a show, do you usually target a specific species of fish to try and take? Justice: Most of the time we don’t. We just go bowfishing and take whatever fish we see that night. However, like I mentioned earlier on Days 2 and 3, when we went to Mississippi, we knew we were going to be targeting silver carp, and when we went to Texas, we hoped to get a big alligator gar. We were going to get a show whether we had the opportunity to take a gar or not. 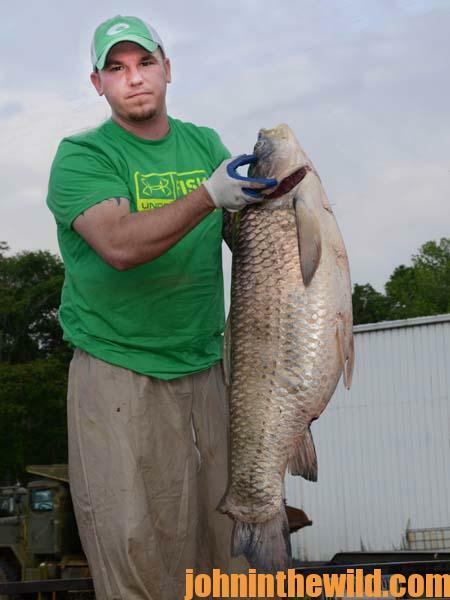 When Bryan Hughes and Chuck took that big grass carp, we just got lucky. That’s one thing I like about bowfishing at night. 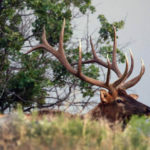 You never know what size or type of fish you’ll have the opportunity to take – just like the deer hunter who may hunt all his life hoping to take a buck that will score 200” or more on the Boone & Crockett scale. But then most of the time when a 200” buck appears, and the hunter has the chance to take him, the hunter’s just been extremely lucky. 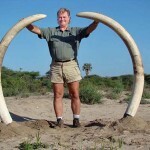 However, the more times that deer hunter goes deer hunting, the greater his odds are for taking a trophy buck.